Have you ever tried to learn a new language….it’s hard! I’ve tried a few online courses and to be honest, my attention span is mierda (that’s crap in Spanish). The only time I’ve managed to learn a few phrases is when I have actually travelled to the country. There’s something about hearing and seeing words and phrases that make them a lot easier to understand than just reading. 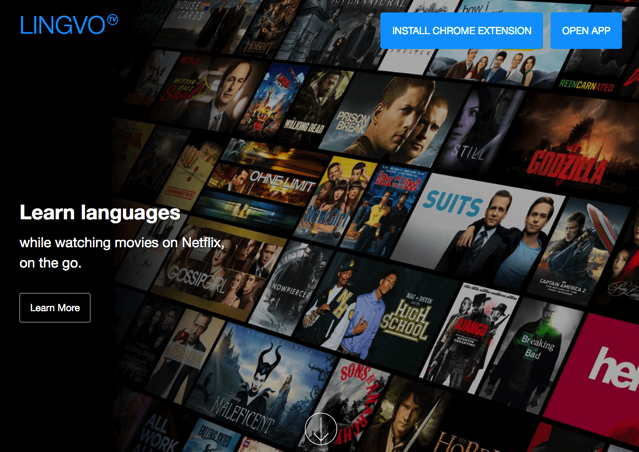 Lingvo is an app that lets you use Netflix, YouTube, and Amazon Video to help you pick up a language while you binge-watching your favourite shows on your phone or iPad….isn’t that magnifique!. The app uses subtitles so when you hear or see something you don’t understand you can tap on the word on your smartphone to get a quick definition without having to stop the movie. With 2 long weekends coming up you’ll be fluent in your chosen language in no time!